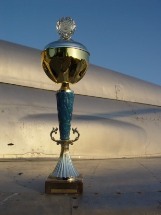 The Cup of the Head of Jelenia Góra Poviat Starosty for 1st place at the 6th European AN-2 Meeting. 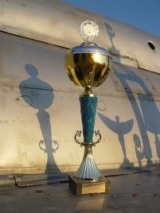 The Cup of the Head of Jelenia Góra Poviat Starosty for landing accuracy at the 6th European AN-2 Meeting. 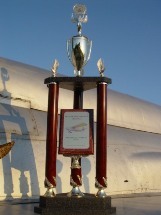 Mayor’s Cup for the best-looking airplane of the meeting in 2002. 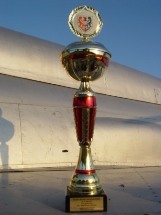 The Cup of the Head of Jelenia Góra Poviat Starosty for 3rd place in the 10th European AN-2 Meeting. 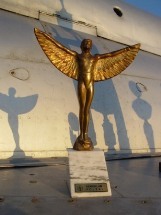 A certificate obtained at the 10th European AN-2 Meeting in Jelenia Góra.